Australian Rally Championship leader, Eli Evans, is wary of his nearest challengers ahead of the weekend’s National Capital Rally in Canberra. Asked whether he is feeling the pressure from Bates, Evans confirmed he is. “For sure, I’m feeling the pressure,” he commented. “Harry’s at his home event and he’d be feeling confident. “It wasn’t easy at Perth, but the results might have looked that way at times. We tried really hard and got the result we wanted, but I think it’s going to be a lot closer here,” he concluded. Bates, arguably the underdog, took it all in his stride, noting a few car improvements he hopes will put him back on the top step of the podium. 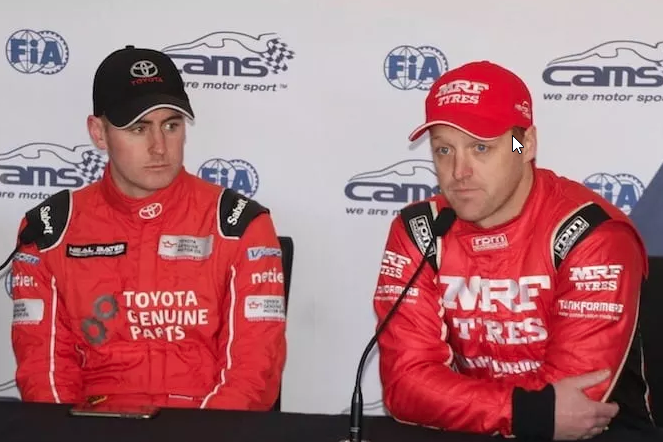 “We really want to back up our win from last year and try and take out both the ARC and APRC,” he said. “We did have to do a bit of work on the car (since WA). While we were doing that, the car was apart, so we saw it as a bit of an opportunity to do some work to it. “The main improvement is that we got some weight out of it (the car), and also found some extra engine performance. “We saw that there was a bit of a gap in WA between ourselves and the Skoda. We’re just constantly trying to improve and to see if we can get our car as good as the Skoda,” he added. The National Capital Rally begins this evening with the ceremonial start in the heart of Canberra before the action starts in the surrounding forests on Saturday.